Immersed within tuned highly tuned clear suspension liquid are 2.5ml of ferrofluid. The Quantum will occupy a dominant place on your desk, bookshelf, or in a science display booth. 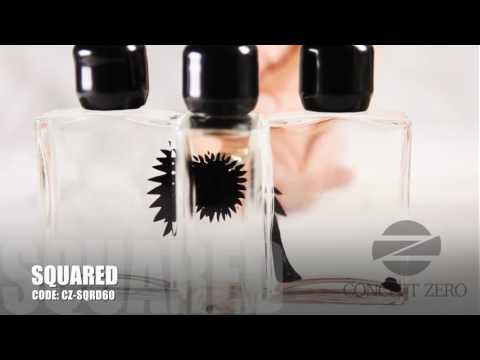 Great discounts across our entire CZ Ferrofluid range! 2.5ml of black ferrofluid suspended in clear liquid. Tough and verastile plastic and aluminum encased glass bottle. Made in USA, Intended for adults 18 years +. The Quantum is expertly designed and handcrafted featuring an extremely tough and versatile layered black ABS plastic,accented with brushed non-magnetic aluminum support posts, a magnetic cradle for the stylus on both sides of the display, and a fastening system. Using a high power neodymium magnetic stylus, you will manipulate the magnetic liquid known as ferrofluid within the glass chamber to see it take on amazing shapes and perform physics-defying movements that have to be seen to be believed. Order in the next 1 hr 11 mins 13 secs for Guaranteed Delivery on Tuesday 23rd, April. The Quantum is expertly designed and handcrafted featuring an extremely tough and versatile layered black ABS plastic, accented with brushed non-magnetic aluminum support posts, a magnetic cradle for the stylus on both sides of the display, and a fastening system. The Quantum comes with retail ready packaging.